Flying Car Becoming A Reality? It has been a sci-fi dream for decades – a car that can simply take to the air to avoid traffic. However, a Slovakian firm has said it has finally cracked the problem. The AeroMobil can fly 430 miles on a tank of petrol – and when its wings fold down, it’ll fit into a normal parking space. Aeromobil is a ‘flying car’ that perfectly makes use of existing infrastructure created for automobiles and planes, and opens doors to real door-to-door travel,’ the firm says. 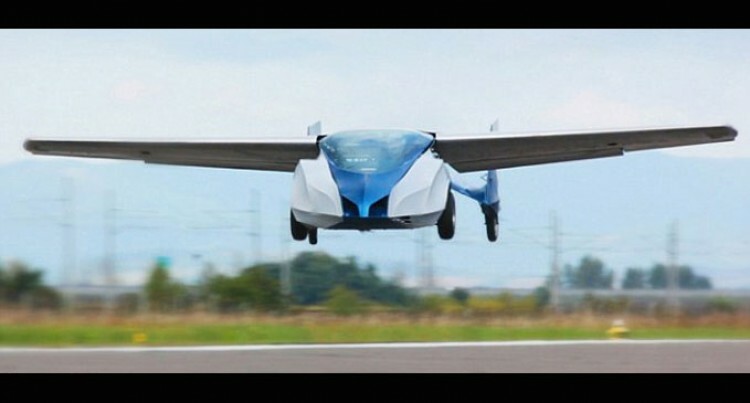 Tatiana Veber, an AeroMobil spokesman said: ‘We have been developing the concept of a flying car since 1990. “Our first model looked quite bizarre and it would have problems in regular use. “That was a signal to improve the concept of the flying car in a way to become an integral part of the regular road traffic. “We got a positive feedback from several experts in avionics, which appreciated the design and the technical solution of the process of transformation. AeroMobil says its third prototype is ready to be shown to the world this October 29 at the Pioneers Festival in Austria. However, design is still not perfect- the wings fold into the back seat behind the driver when in car mode. The firm has also released a video of it in action, driving through city streets then taking to the air. “Aeromobil 3 is stylish, comfortable for both the driver and passenger, and exceptionally combines the performance of a sports car with qualities of an ‘ultralight’,” it says.